Cuban Fury is a fun, if not uneven, music-comedy. Nick Frost and Rashida Jones both turn in fine and funny performances and the music itself is catchy, even for those unfamiliar with the style; all in all, this is rental worthy. The Blu-ray released by Entertainment One offers good video and audio transfers while the bonus material, albeit limited, is somewhat worth a watch. Beneath Bruce Garrett’s (NICK FROST) shabby, overweight exterior, the passionate beating heart of a salsa king lays dormant. Only one woman (RASHIDA JONES) can ignite his Latin fire, but first Bruce must learn how to unshackle his dancing beast, regain his long lost swagger and claim the love of his life. Spotlight hits, sweat drips, heels click – Nick Frost IS Cuban Fury! This release comes with a matted slip cover. Behind the Scenes Featurettes (10:35) covers ‘The Film’, ‘The Cast’, ‘The World of Salsa’ and ‘Nick and Rashida’, each providing some footage and interview sound-bites discussing the movie. There are three featurettes, How to Dance Salsa with Nick Frost (TRT 11:19), showing Frost’s training to become a Salsa dancer. Q&A with Nick Frost (8:53) finds the actor, following a screening, answering questions from the audience. Guide to Office Etiquette (0:43) plays scenes from Chris O’Dowd saying lewd things at the office. How to Salsa with Ron Parfitt (1:24) is merely scenes with McShane’s character. Entertainment One releases Cuban Fury onto Blu-ray presented with a 1080p high-definition transfer and 2.40 widescreen aspect ratio. Although for the better part, this movie does look great in HD with good detail levels throughout and nary a flaw in sight, but, and I think it’s just how the movie was shot, it sometimes has this washed-out look to it. However, when we get to the dancing scenes, colors do become more vibrant, which, not that I think about it, perhaps was the director’s intent. The DTS-HD MA 5.1 track has clear dialogue levels but especially comes to life during the dance scenes providing some depth to an otherwise adequate lossless track. The rear channels are relegated for the score/soundtrack and even some ambient noises (such as general office sounds). 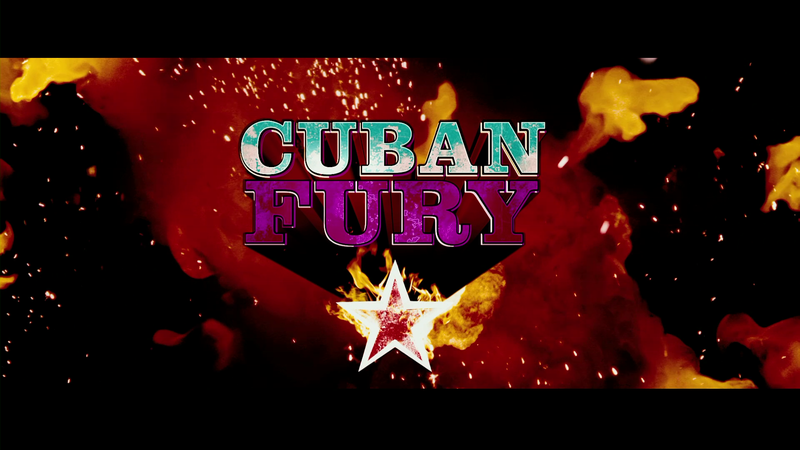 Overall, Cuban Fury is a fun, if not uneven, music-comedy. Nick Frost and Rashida Jones both turn in fine and funny performances and the music itself is catchy, even for those unfamiliar with the style; all in all, this is rental worthy. The Blu-ray released by Entertainment One offers good video and audio transfers while the bonus material, albeit limited, is somewhat worth a watch.